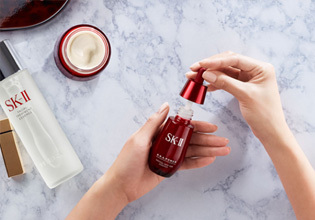 SK-II's signature product, Facial Treatment Essence (75ml), with over 90% PITERA™. 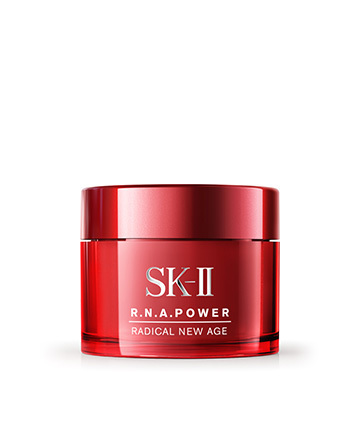 Also included are Facial Treatment Clear Lotion (30ml) and R.N.A.Power Radical New Age (15g). 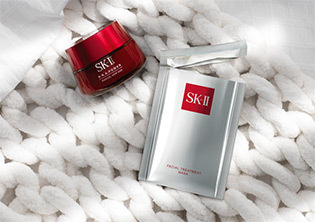 Used together, your skin will become firmer, smoother, and more radiant. even after facing the worst. Like 25-hour days, sleepless nights. All of that’s just no match for this. Crystal clear skin, ready for anything. 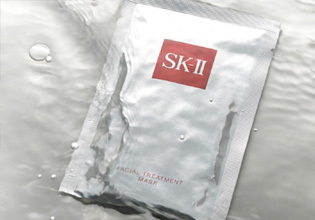 skin to retain its natural functions¹, keeping it crystal clear. PITERA™ contains components that are similar to the natural moisturizing factors (NMF) found in healthy skin², helping to retain hydration and radiance. 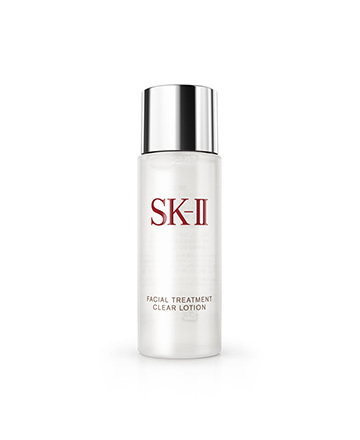 Skin stays smooth even when exposed to pollutants that can cause dullness, dryness and signs of aging. 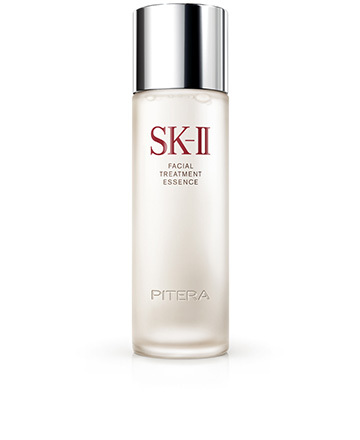 PITERA™ prevents skin surface damage like dullness and loss of radiance caused by external aggressors such as UV, so skin stays radiant and clear. Facial Treatment Essence is comprised of more than 90% PITERA™ – the must-have natural bio-ingredient containing over 50 micro-nutrients like vitamins, amino acids, minerals,organic acids, and more. PITERA™ conditions skin's natural functions and nourishes skin with natural moisturizing factors for healthier-looking, more radiant skin. the pad to your T-Zone, concentrating on oily areas. neck, and décolletage until absorbed.